You tasked me with locating a venue for <<insert company name>>’s 2016 Christmas party and I have been researching hard to meet your expectations. As detailed in your requirements, stated location must be cost-effective, conducive to building relationships with colleagues and enjoyable for all. 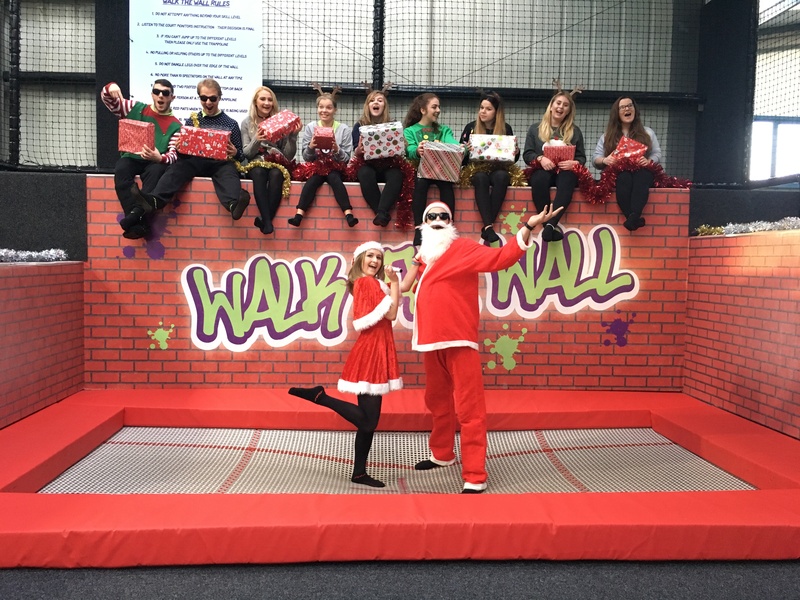 I am delighted to inform you that I have discovered a tremendous venue – Sky High Trampoline Park near Brighton. Everybody would love it and have the best time. I promise. How can you not have a huge grin on your face when flinging yourself into a super-sized air pillow. There’s no risk of people getting too drunk and weeping/mooning/trying to kiss you. Of course, we could always all go out to a bar afterwards if any of those options appeal. It’s a highly efficient networking arena. Bouncing around having the most awesome fun with colleagues without having to make awkward, boring small talk. Laughing at them (erm, with them) as they stack it. Drooling at Dreamy Dave as he nails the Walk the Wall (did I say that out loud?) And if you don’t want to talk to someone you just bounce away. Even Deadly Derek can’t bore you to tears in an 11,000 sq. ft. trampoline park. It encourages healthy competition between colleagues. Which is great for getting the best out of people in the workplace. There are aeroball and slam dunk courts for one-on-ones. Just don’t put me in there with our lovely “top performer 2016” as I couldn’t be held responsible for my actions. According to NASA, it combats fatigue, gets your heart rate up, reduces stress and releases endorphins in your body. A happy, healthy workforce and all down to your Christmas Party! I trust in you to make the right decision for your workforce, your company, your nation and I am waiting here with my finger poised on ‘call’. P.S Check out the prices, info and how to book your Christmas party.